I'm sure you've heard of the Quilts of Valor Foundation. 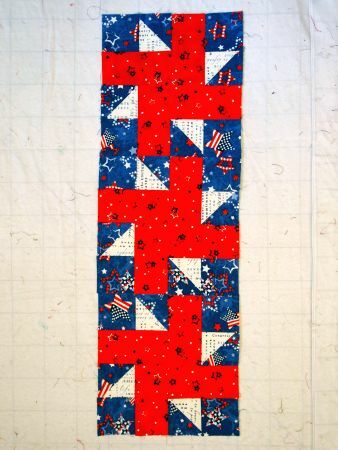 The block requires fabrics in red, white or cream, and blue. The colors may be used in any position. I am listing the colors in the positions I used for my blocks. Using the cream and blue 3" squares, make four 2.5" half square triangles. 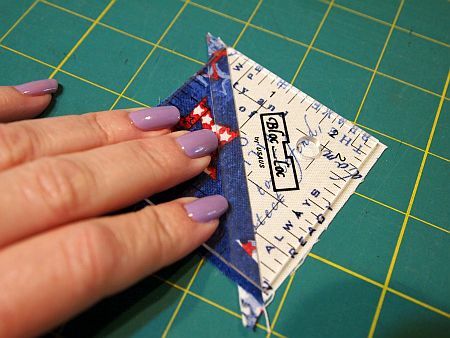 Square up the HSTs to measure 2.5." If you have a Bloc Loc ruler, this is the time to use it! 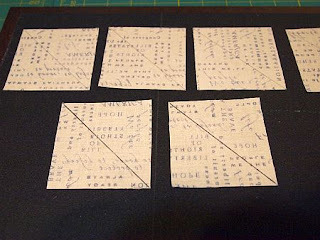 Stitch the HST to the blue 2.5" squares. 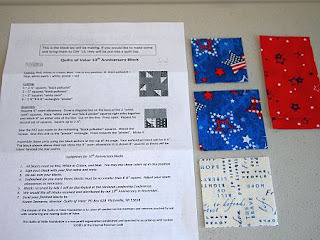 Stitch the HST/square unit to the red 2.5" X 4.5" rectangle. Arrange as shown and complete stitching. Do not trim your blocks; assembled blocks should measure 8.5." The instructions request that blocks be signed with your first name and state. You may mail your blocks to Karen Demaree, Quilts of Valor Director, PO Box 628 Platteville, WI 53818. 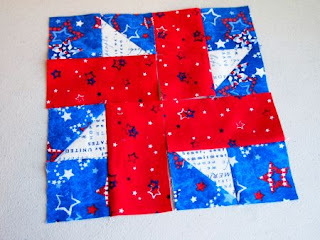 Or if you'd like, send your blocks to me and I'll take them to Quilt Wyoming with mine in July. A very worthy cause . . .
A great way to use scraps! Oh, and I love your nail polish! Over the past year I have sewn quilts and laundry bags for our Aussie heroes overseas. 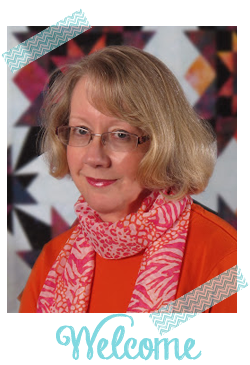 Aussie Hero quilts and laundry bags, was started after seeing Quilts of Valour and what had been achieved by these women. 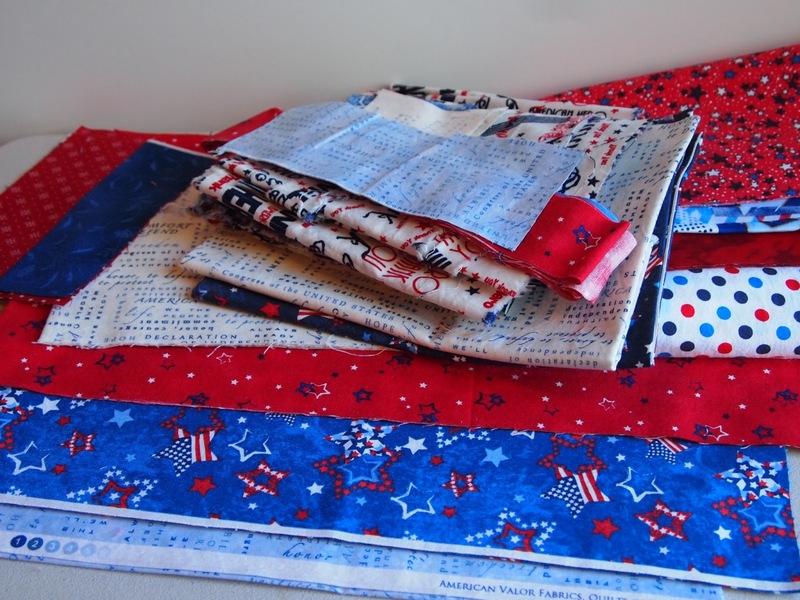 It is such a thrill to hear what impact these quilts have on our men and women who are fighting for our freedom. Wendy, thank you so much for commenting. 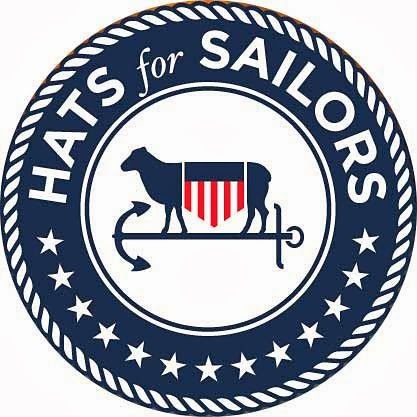 I love the idea of gifting the quilts in a laundry bag - I'm going to adopt that for "my" Sailors. The quilt will be beautiful! I am so proud of you and what you do! 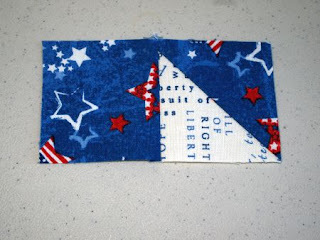 Two worthwhile projects - using your scraps and making the Valor blocks. Our soldiers are so appreciative and deserving of these quilts. What a wonderful project - thanks for sharing! 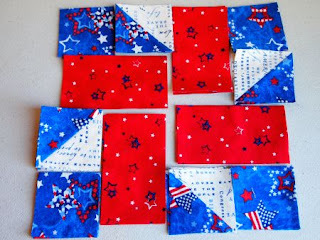 I would like to send you some blocks and may enlist the help of others...what is your deadline for your July trip? I see the official rules say "received by July 1". The Kansas State Fair is doing a QOV 10th Anniversary quilt block challenge as part of the open class this year! 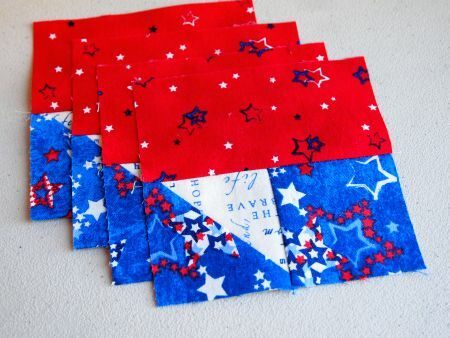 We're using this block pattern and get to use whatever fabrics we want as long as they are red, white and/or blue. Only one can be submitted per person to the fair and I've made three, so will be giving them to one of the ladies on the fair board to send in with the rest. I just love making QOV quilts!